A lot can happen on one day, from the ordinary to the extraordinary. 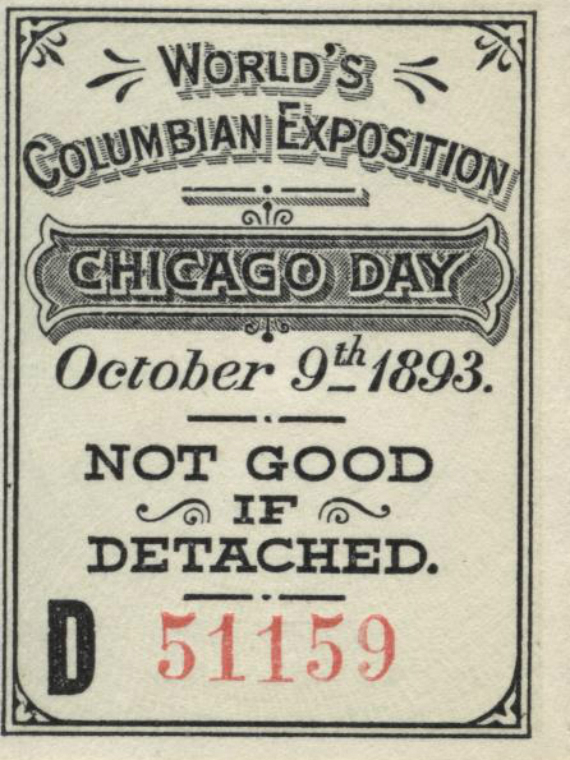 October 9 is a one such day in Chicago history. 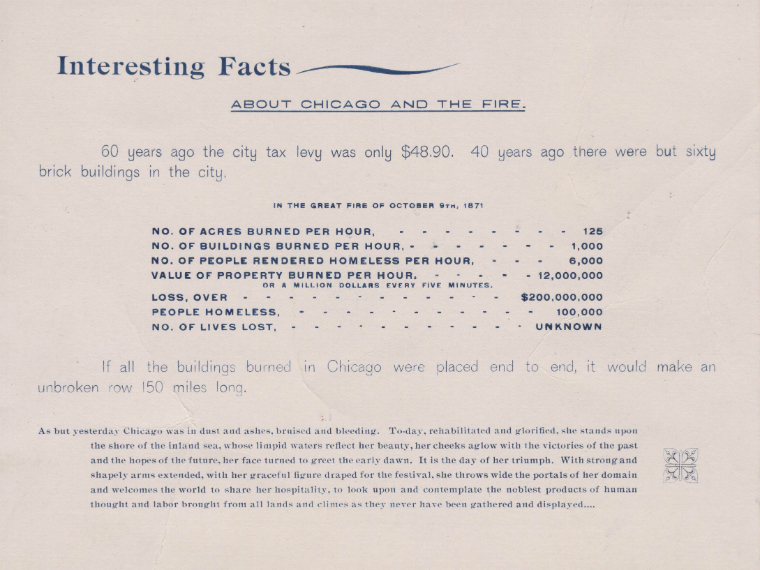 Most infamously, in 1871, the Great Chicago Fire burned, ravaging the city and reducing it to rubble. Twenty-two years later, having rebuilt from the ashes left by the fire, Chicago was front and center on the world stage, hosting the 1893 World’s Fair. 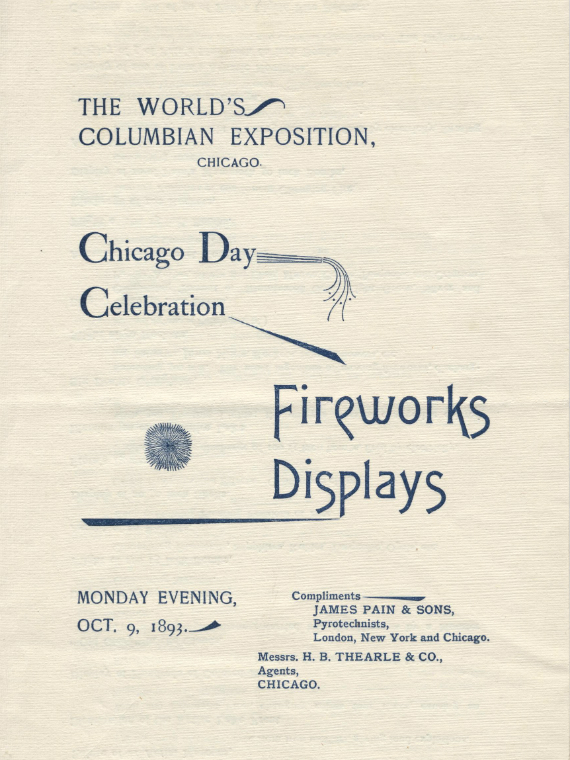 Chicago Day was meant to celebrate the city’s rebirth and rebuilding after the Great Fire, as well as its success building and hosting the fair. 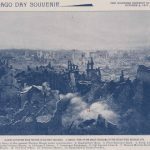 Visitors were invited for a gala day that promised special events, speeches, parades of floats and children in patriotic costume, in addition to the fireworks display. 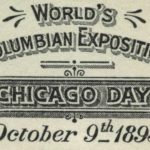 October 9, 1893—125 years ago this month—was proclaimed a holiday by both Illinois Governor John P. Altgeld and Chicago Mayor Carter H. Harrison. 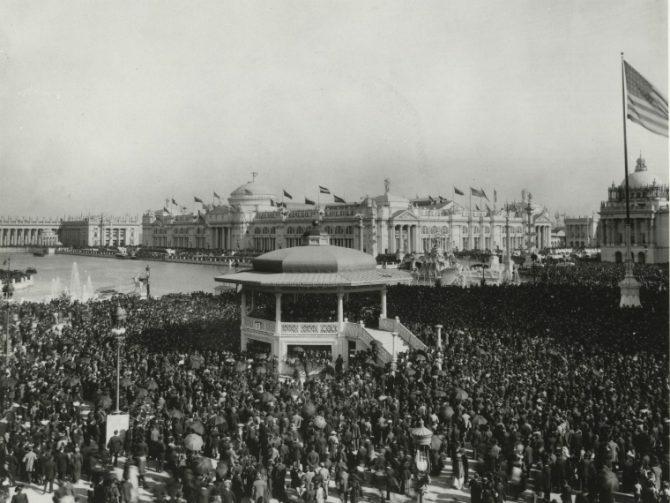 Children were given the day off school, and many businesses closed, giving workers the day off to attend the celebration. Chicago Day lived up to its promises and was deemed a success. 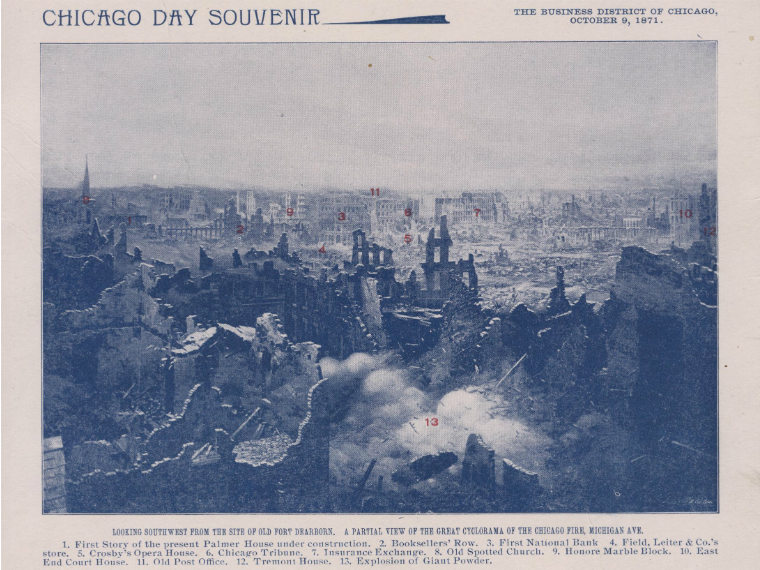 Although students still learn about the Great Fire and World’s Columbian Exposition in school, Chicago Day seems largely forgotten, its memory having come and gone in a blaze. 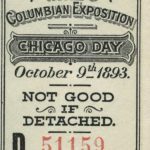 October 9 may no longer be a holiday in Chicago, but a lot can still happen that’s worthy of celebration. 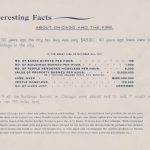 In 1906, the White Sox beat the Cubs in Game 1 of Chicago’s only crosstown World Series. In 1931, Miss Lucille Cook of 6730 S. Langley Ave. entertained the Gibble Gabble Gobble Bridge Club with a delicious luncheon and passed out prizes ranging from stationery to lingerie. Carson’s department store opened its 15th store in 1975. 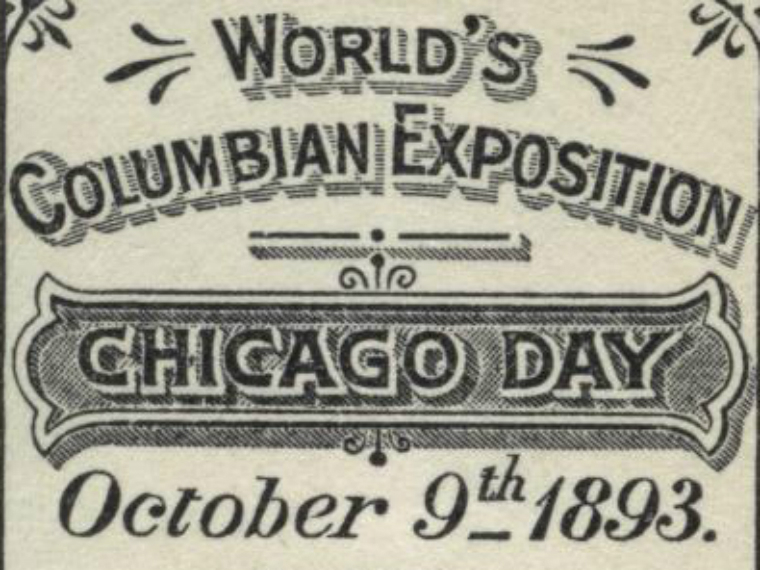 Today, Chicago continues to grow, build and celebrate our city in ordinary and extraordinary ways. 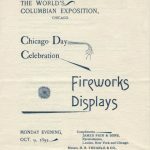 How will you celebrate Chicago this October 9?